​Napoli have ​announced the signing of 21-year-old Italian goalkeeper ​Alex Meret from Udinese on a reported five-year deal. The Serie A outfit were reported to have parted with up to €22m for the highly rated shot stopper as the club look to bolster their ranks in between the sticks following Pepe Reina's recent departure to Milan. ​​The 21-year-old underwent a medical assessment on Wednesday ahead of his move to last season's ​Serie A runners-up, where Udinese teammate and fellow goalkeeper Orestis Karnezis is also expected to follow in his steps over the coming days. Napoli are understood to see Meret as their first choice stopper moving forward, as Carlo Ancelotti plots his move to topple ​Juventus from their perch atop of the Italy's first division. 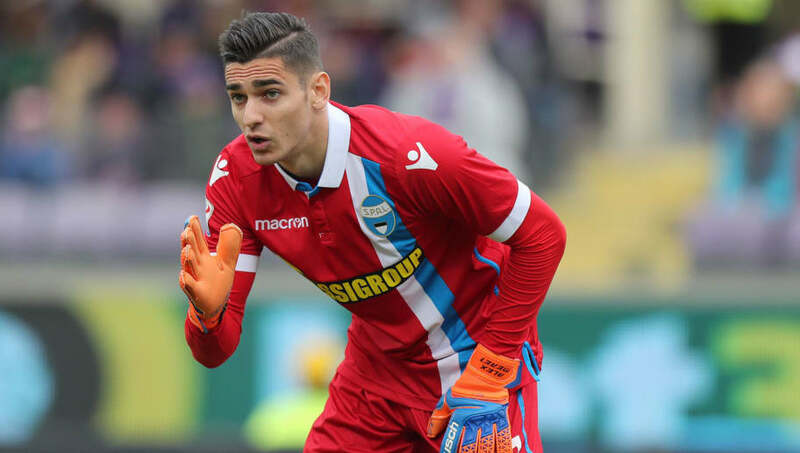 After being plagued by injury last season Meret made only 14 appearances for SPAL in Serie B during the second year of his loan stint following a debut season which saw him start 32 games throughout the 2016/17 campaign. The 21-year-old becomes Napoli's fifth signing of the summer following the arrival of Amin Younes, Amato Ciciretti, Simone Verdi and Fabian Ruiz.